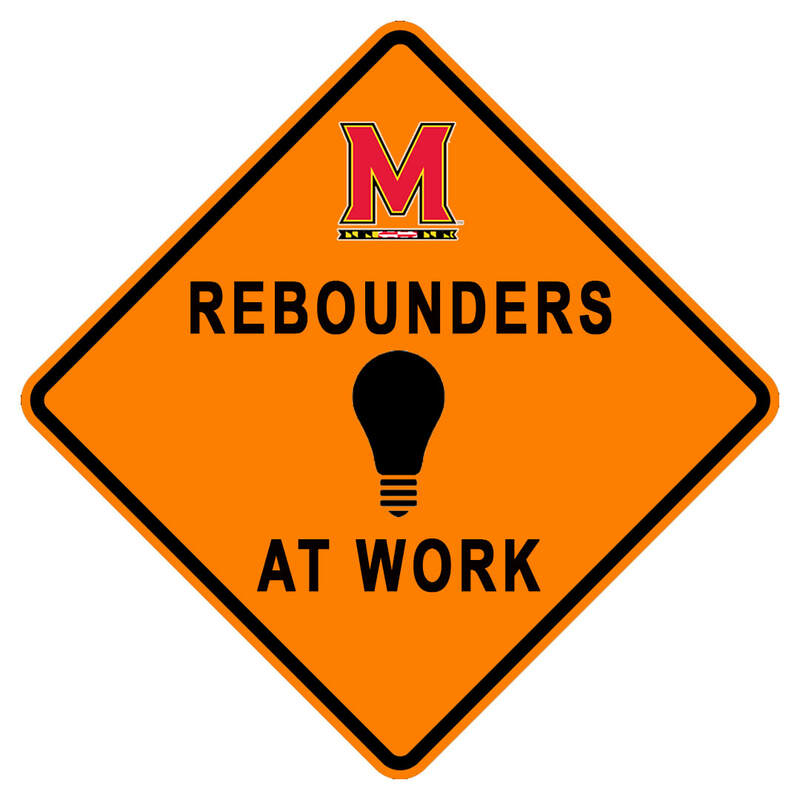 The Rebounders are the official support group for Maryland Women's Basketball. We are proud supporters of University of Maryland Women's Basketball. ​​​through fundraisers, traveling to select away games, tailgates, and more! This group is open to Maryland Women's Basketball fans of all ages! Join us for an insider's view of the team and experience Maryland Women's Basketball as only a Rebounder can! It's an election year. Have you considered joining the executive board? Stay tuned for spring and summer Rebounder events! CONGRATS Coach Brenda Frese on your 500th Career Win! Our daily open practices have been an important part of our Maryland tradition over the years. Your engagement is integral to our culture and success; therefore, we believe in welcoming you into our practice every day. In order to be able to keep our practices open to supporters, we kindly ask for your help in keeping our practices focused. ​Visitors to practice and shoot around in the main gym are to sit only in the designated area of section 101 or where indicated by signage. The baseline, sideline (including media table) and tunnel areas must be kept clear of visitors before and during practice and shoot around. When practice is held in the pavilion, please sit in the bleachers immediately to the left of the gym entrance. In the event that practice drills or warm-ups need to utilize this area, we ask that you temporarily slide to the adjacent section. Also, please be sure to silence your cell phone and refrain from loud conversations, including on the phone and with other fans attending practices. Additionally, we owe it to our team members and the student-athletes from other teams rehabbing in the gym to give them space and privacy. Due to HIPAA laws, it is our duty to maintain confidentiality and privacy. To this end, we ask that you not interact with student-athletes or staff during treatment and training. With everyone’s help and adherence, we will be able to continue to have focused and productive practice sessions while keeping them accessible to our fantastic fans. Thank you for all of your continued support! Great club leadership requires the expenditure of a little energy, some creativity, relationship building, elbow grease, and of course, a passion for our Terps. Please consider running for a leadership position with the Rebounders during the upcoming election cycle. Leadership terms span two years. We'll be sharing more information as election time approaches, but for now- just think about it! ​please contact us through the "contact" tab at the top of this page! Catch up or reflect- good stuff in here! Back by popular demand, but in a much more cost-effective format! Catch up on where the team is so far this season or reflect on what we've accomplished up to this point! Click HERE for the PDF link. Wherever you are with this team and this season, we can all look forward to where we want to be in the post-season! 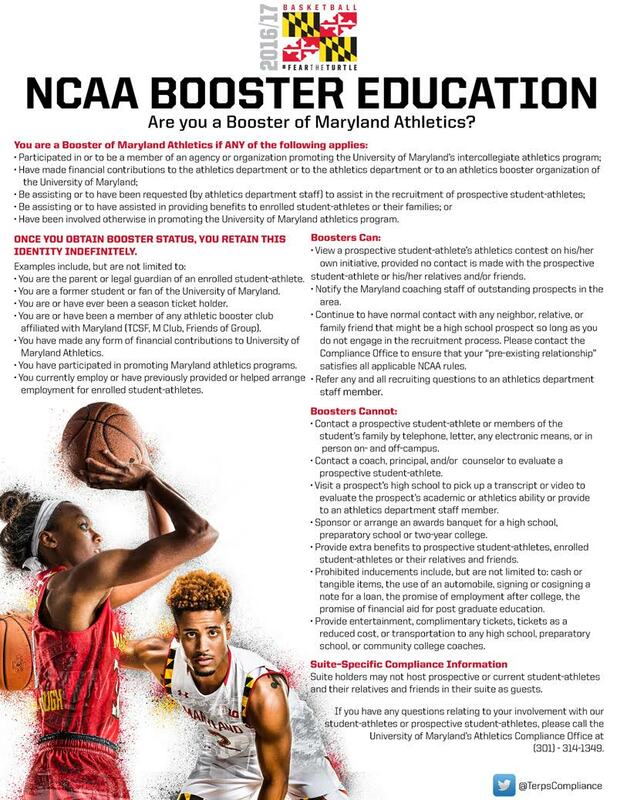 If you're a Maryland WBB alum and you haven't received this publication in the mail, please let us know by sending us an email from the "contact" tab at the top left of this home page! Be sure to include your current contact info including email, address, and cell number. The Rebounders have supported Maryland Women's Basketball for 39 years! Many college and professional teams have adopted "clear bag policies" at athletic venues. You can find all the details on the University of Maryland's policy HERE.